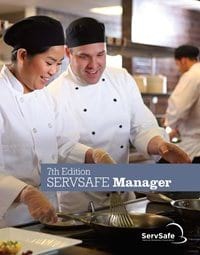 Our 8 hour review and exam consists of a National Restaurant Association approved instructor conducting six hours of instruction and then administering the ServSafe food safety exam. Classes are available in cities throughout Michigan. The ServSafe exam consists of 90 questions. Testers must receive a 75 percent score or better to pass this test and receive their Food Safety Certificate. All tests are graded by the NRA and take approximately 7-10 business days to process. Materials will be mailed upon registration. There's no need to sit through the class if you have the knowledge! A National Restaurant Association approved instructor/proctor administers your exam. Proctored exams are available at various locations across the state. The ServSafe exam consists of 90 questions. Testers must receive at least a 75 percent score or better to pass this test and obtain their Food Safety Certificate. All tests are graded by the NRA EF and take approximately 7-10 business days to process. Materials will be mailed upon registration.